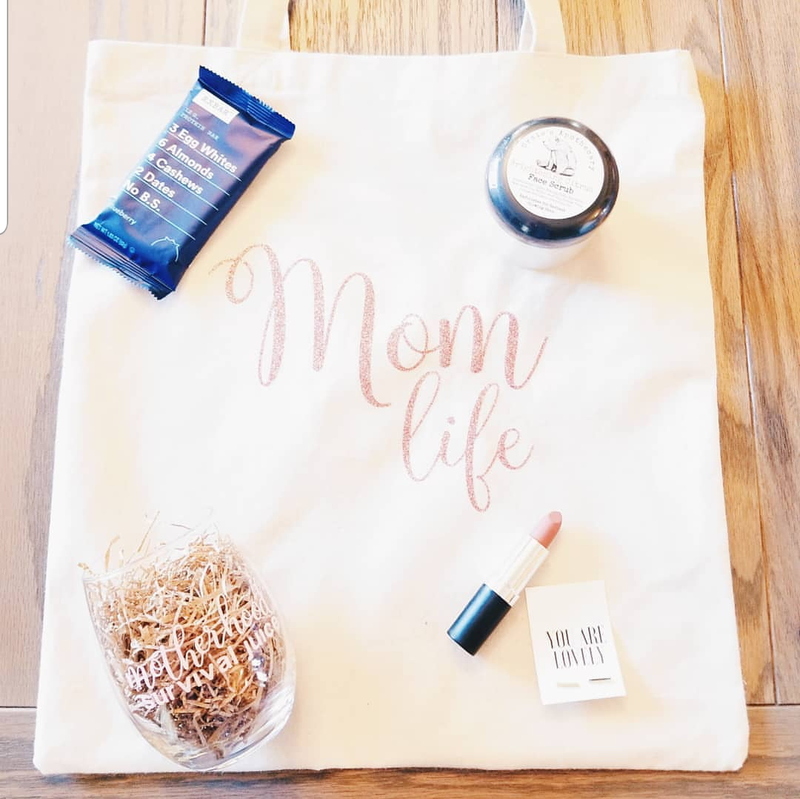 Rose gold glitter canvas "mom life" tote. Being a mom means pretty much being on the go all the time. Let us help you get from place to place with this amazing tote!